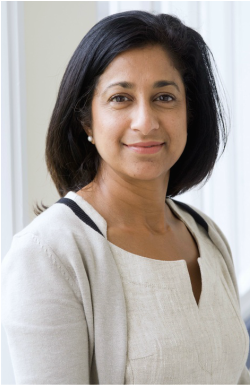 Anita Hazari has been a Consultant Plastic Surgeon at the world- famous Queen Victoria Hospital NHS Foundation Trust, East Grinstead since 2006. As the Oncoplastics Breast Lead 2009-12, Anita was a key member of the Kent Breast Cancer Network, helping to formulate the breast reconstruction pathway, policy for pre-op screening in breast reduction surgery and the use of lipofilling in breasts. She was a member of the BAPRAS council 2013-2015, during which time she served on the Finance Committee, ABS Council and was the lead for National Commissioning. She established the UK National Flap Registry (UKNFR) in 2015 with cross-speciality participation from BAPRAS, BAOMS, BAHNO, ABS & BSSH. She is the UKNFR National Audit Lead. In 2016, she was also a member of the Breast Implant Registry steering group by NHS Digital. She was the executive Chair of PRASIS (2017-18) and its board member (2014-16), a mutual medical indemnity insurance scheme for plastic surgeons in the UK. She is a member of the Court of Examiners for the FRCS(Plast) examinations held by the UK InterCollegiate Specialty Board in Plastic Surgery. Anita is a certified Educational Supervisor with the KSS (Kent, Surrey & Sussex) Deanery. She loves to teach and regularly lectures plastic surgery trainees, nurses and breast care nurses . Anita Hazari performs reconstructive and aesthetic surgery of the breast, body contouring, aesthetic abdominal surgery and labiaplasty. Anita received rigorous, structured training in plastic, reconstructive and cosmetic surgery in the Pan-Thames Plastic Surgery Training Programme. Additional training in microsurgery allowed her to develop specialist skills in breast reconstruction allowing her to offer the whole repertoire of breast reconstructive techniques including the use of implants, LD flap and patient’s own tissue from the abdomen (DIEP), inner thigh (TUG) and buttock (SGAP) flaps. She also spent time at the Christine Kleinert Institute of Hand and Microsurgery, Louisville, USA in 2004. She undertook research in nerve regeneration at the Blond McIndoe Centre, East Grinstead which culminated in a higher degree (MD) from the University of London. The Royal College of Surgeons of England recognised her original work in nerve grafting and awarded a Hunterian Professorship in May 1999. Anita lives in Kent with her husband and young son. Apart from playing cricket on the Common with her sporty son; her interests are running, tennis, pilates and the Italian language. She also hopes to master the piano one day!